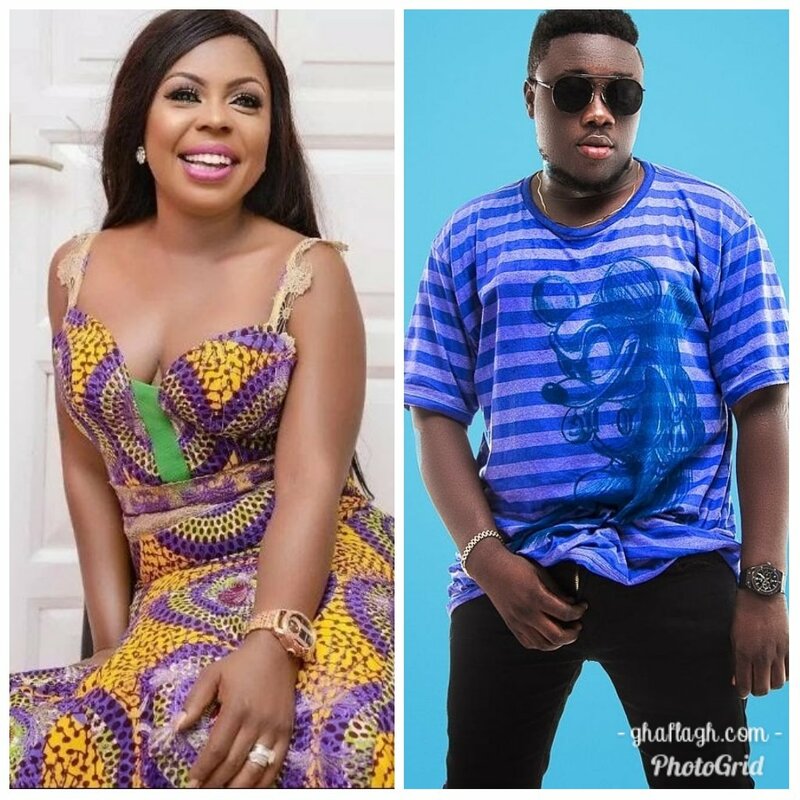 Socialite Afia Schwarzenegger has hinted of her intentions to accept Kurl Songx proposal. Few months ago, budding Highlife musician and former MTN hitmaker winner, Kurl Songx denied in an interview earlier rumors that he was secretly dating Afia Schwarzenegger. However, he is reportedly said to have revealed during the interview that he wouldn’t mind dating the loud mouthed comedienne. “I will even be happy if that happens, but it’s not true. I met her at the RTP awards and that’s the only encounter I have had with her. And if people are doing that campaign for me, why not. I have never been to her house and I don’t even know there.” He said. Months later, the controversial presenter has made known her intentions to accept the proposal. Afia, who posted a video of herself wiggling on Kurl’s recent song, ‘Trumpet’ said after listening to this particular song, she’s ready to ‘tango’ with the Jennifer ‘Lomotey’ hitmaker.